An earlier version of this review can be found here. 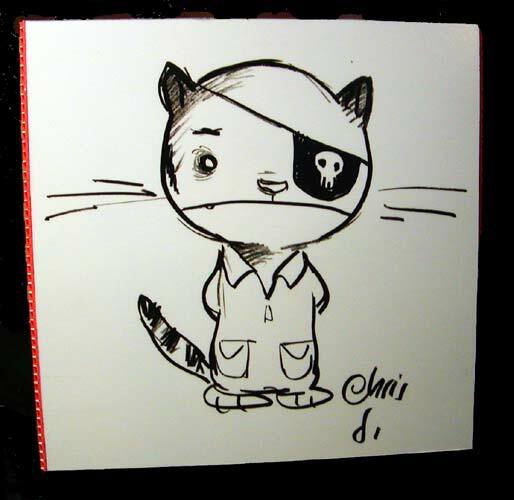 Having been given just about the freest reigns ever given to a filmmaker in the history of Walt Disney Feature Animation, directors Chris Sanders and Dean DeBlois responded with Lilo & Stitch, a dream project for Sanders, who had been noodling with the main character for years during his time as a Disney storyman and character designer. The film, released in the summer of 2002, was suffused with an outré sensibility both in the design and the narrative that was so uncharacteristic for the studio as to border on the terrifying, but was wholly in line with Sanders's charmingly dysfunctional artistic personality. It was a big hit - the highest-grossing animated film released by Disney in the 2000s (domestically; world-wide, their reigning champ for the decade was, alas, Chicken Little), and far more popular and instantly beloved than any of the benighted projects coming out around the same time: deathless works like Atlantis: The Lost Empire, Treasure Planet, and Brother Bear. Sanders and DeBlois had at least temporarily stopped Disney's hideous slide towards irrelevance that began when Toy Story introduced the world to a new kind of top-shelf animated feature in 1995, and for his instrumental work in crafting this unusually personal cartoon, Sanders was soon given another project to do with as he would. That film was American Dog, the story of a TV-star dog named Henry who found himself one day stranded in Nevada, forced to confront the real world for the first time in his life and discover the greatness of Middle America in the process, with the help of a one-eyed cat named Ogo and a giant mutant rabbit. It was to be a quirky, whimsical story with the off-kilter energy of Lilo & Stitch turned up high as it would go, Sanders giving free vent to all of his notions and idiosyncratic visions. Then came 2006, the year that everything changed so dramatically at Disney. 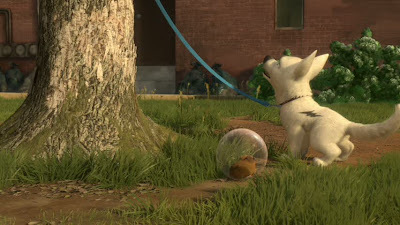 John Lasseter, the patron saint of Pixar Animation Studios, was now in charge, and though his first mission was to do anything in his power to save the wreck of A Day with Wilbur Robinson - renamed and released as Meet the Robinsons - he quickly turned his attention to American Dog, and oh, he did not like what he saw. Pervasive rumors have long held that Lasseter did not like Lilo & Stitch much at all (one assumes its snarky tone sat poorly with the maker of the breathtakingly sincere Toy Story movies), and he probably had it out for Sanders; what is known at any rate is that he found the story of American Dog to be far too derivative, the designs and characters much too warped for the Disney brand name, and so he gave some notes for how to fix it. This was, after all, to be his first chance to oversee a Disney film most of the way through, and it was important of course that he should put his best foot forward. Sanders bristled - as who wouldn't in the same situation, being told by a man with a known antipathy towards your big hit movie that was a hit precisely because of the attitude this executive was trying to tone down - and it undoubtedly didn't smooth matters over that one of the most urgent notes was that American Dog couldn't take place in the Southwest, since that's where Lasseter's own Cars has been set, just that very summer - and he refused to make the changes. Before you can say "well, duh", Sanders was out, replaced by Chris Williams, one of the key figures in rescuing The Emperor's New Groove from one of the nastiest development snarls in the company's history; he'd end up sharing directing duties with Byron Howard, a story artist, and the two men worked with the relatively green Dan Fogelman and Jared Stern on getting the screenplay in order. The changes were fast and furious, not least because the film had a committed November 2008 release date, which meant a ludicrous 18-month production period, building off of the little usable prep work that could be sufficiently de-Sanderised. 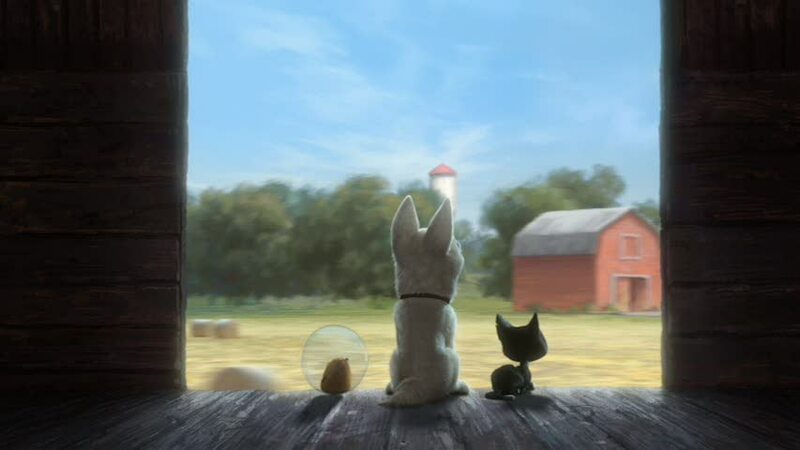 This resulted in a much softer, sweeter movie, a new title, Bolt, selected mostly out of desperation when no other title stuck (for Henry himself was now renamed Bolt), and given a new narrative emphasis on the dog's desire for love and family, less on his city slicker travails in the country. Sanders, meanwhile, was stung enough to leave Disney altogether, taking DeBlois with him. At the time all of this was happening, it was easy to look with dismay at Lasseter's muscle-flexing as the work of a man drunk with power, hoping to transform the storied Walt Disney Animation Studios into something like the southern wing of Pixar. Bolt came out and put paid to that notion, and all in all the story has a pretty happy ending for everybody: Sanders and DeBlois found a cozy home with DreamWorks Animation, where they oversaw How to Train Your Dragon, a truly wonderful animated film that finally brought that company a significant and deserved measure of artistic respect. Disney, meanwhile, got a film that was generally well-liked: Bolt was only a minor hit, but it was greeted with sighs of relief by critics and audiences anticipating another Chicken Little/Robinsons affair, all DreamWorks posturing and soullessness, and instead finding that Lasseter had put the shine back on Disney without necessarily turning it into a Pixar clone (though it would take the studio's next two films, The Princess and the Frog and Tangled, to get back on track with a truly Disneyesque mentality). 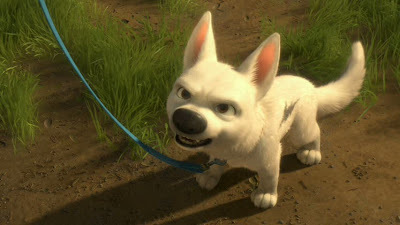 Bolt tells the story of a white American shepherd (John Travolta - among the most celebrity-ish of celebrities to ever voice a Disney character, next to Robin Williams and Mel Gibson), who is the star of a television show that probably wouldn't be as popular as the movie would like us to believe: it's about a genetically-altered dog who protects a 12-year-old girl named Penny (Miley Cyrus, replacing Chloë Moretz after the film was all but completed) from the wicked Dr. Calico (Malcolm McDowell), who has kidnapped her father. Dog and child journey the globe, always fighting Calico's goons with the help of Bolt's superpowers - including laser vision, a super-powered bark, and incredible speed - always escaping to fight another day. Alas for Bolt, the show is directed by an absolute psychotic (James Lipton), who has it in his head that the only way to drag a great performance out of the animal is to leave him absolutely convinced of the reality of the world surrounding him. I do not think I can improve upon my summary of the situation made at the time of the film's release: it's a doggie version of The Truman Show. Thanks to an impatient network executive (Kari Wahlgren) who wants more drama and fewer pat endings, the Bolt team is experimenting with their first-ever cliffhanger two-parter, and it leaves the dog freaked out that for once, he wasn't able to save Penny before being carted off to his trailer, and he manages to escape in hardly any time. Ending up knocked out by a window that stubbornly refuses to shatter when he jumps majestically towards it, and accidentally taped up in a box being shipped to New York. Here he meets Mittens (Susie Essman), a raggedy alley cat who survives by ruling over the local pigeons like a gang boss; Bolt, in his infinite wisdom, assumes that she (like all cats), is in the employ of Dr. Calico, and forces her to reveal Penny's location. Instead, she spots his collar, with a Hollywood address, and is thus dragged along on a cross-country trek that eventually includes a hyper fanboy hamster named Rhino (Mark Walton), whose adoration of Bolt approaches levels rarely seen outside of internet forums. Doubtlessly I am just an ill-spirited nitpicker, but to my mind Bolt suffers from a particular conceptual flaw that makes it really hard to ever completely buy into the movie: the Bolt television show is too impossible to believe even under the rules of a talking animals picture. In a heightened comedy of the absurd, it might have worked - I think Sanders's quirkiness might have sold it, but that doesn't matter. 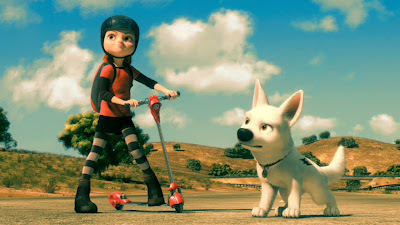 Bolt, as it stands, veers between a kind of lightly cartoonish realism and pastoral abstraction, neither one of which is exactly the kind of fantasy that the set-up requires. The production of the show is an outlandish lie: not only are we asked to believe that dozens of pyrotechnic effects and complex traffic choreography is meant to be done inside a soundstage, we're also to assume that the dog is somehow able to be tricked that he can run a hundred miles an hour and shoot death rays from his face, and that all of this can be done - and is only ever done - in a single take. 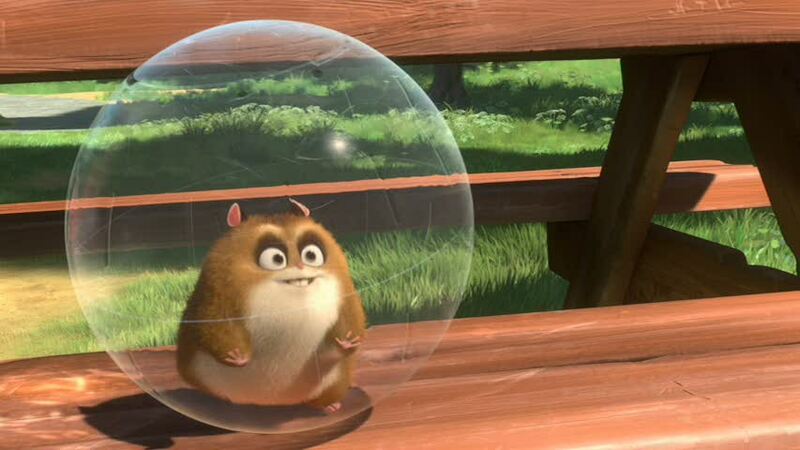 Simply put, I cannot believe, even on the evidence we see in the film, that Bolt would be so convinced that his world is real as is required to make the first half of the film work, and that's even ignoring the gigantic logic problems (can any of us even fathom how expensive the Bolt series must be?). It doesn't seem possible that the world we're asked to believe in could work for more than a few days, unless Bolt is a complete, profound, and alienating moron, which is not apparently what the filmmakers want us to believe. Fortunately, these concerns are largely only a problem until Bolt and Mittens meet, and the travelogue part of the film begins in earnest. 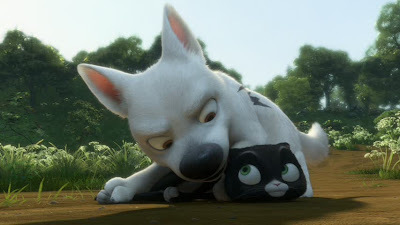 Bolt is very much at its best in the middle, when it's assembling the characters and gently revealing to the hero the truth about his place in life; so gently, in fact, that the event that finally convinces him of reality doesn't seem nearly sufficient, but by that point the characters have taken over for story logic. It helps that those characters - the animals, at least, are so extremely appealing, both on page and onscreen (the humans, less so: the design is slightly unnerving, and the situations in which we always find Penny, negotiating with the smarmiest set of movie executives you would ever hope to see in a family film, are not well-calculated to make us happy to be watching them, or her). Not since Lady and the Tramp had Disney released an animal-driven film in which the characters were permitted to be so satisfyingly nonhuman: everything about their movements, their personalities and behaviors, makes them feel like an honest-to-God dog, cat, and hamster, even when as their design is pointedly cartoonish (Bolt's giant ears and Mitten's caricatured lankiness exaggerate their most pointed traits - his curiosity and openness, her weariness - while Rhino looks a bit like a furry potato). Even the vocal performances fit the species: Travolta, giving one of the very best performances of his career - seriously - captures the bounce and eagerness of a dog, while Essman's cynicism can only be called catty, and Walton speeds on like a crack addict, and if you've ever seen a hamster on a wheel, you know why that fits. The trio works, is all, funny and charming and sympathetic, and that's enough to paper over the awkward, contrived first act or the abrupt, unconvincingly dramatic third act. It's in the second act as well that the film's most beautiful visuals occur, although in this case, it's fair to say that all of Bolt looks pretty great. 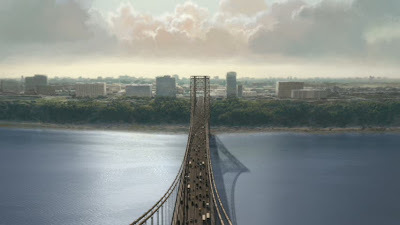 The design sensibility brought to the film in Sanders's wake seemed to be, "if this is going to be a story about traveling America, it needs to be slathered in Americana", and this was greatly achieved: though the characters are pure CGI Disney (the designs are a fairly immaculate half-way step between Meet the Robinsons and Tangled, in fact), all bulbous eyes and slightly-too-extreme body dimorphism, the backgrounds are another thing entirely. The stated influences were painter Edward Hopper and the great cinematographers of the 1970s, and although I do not necessarily see Vilmos Szigmond where the filmmakers tell me that I ought to, there's absolutely no denying that Bolt boasts some truly stunning landscapes and urban environments that deserve that most overused word, "painterly", capturing textures and colors and shape with a keen eye. 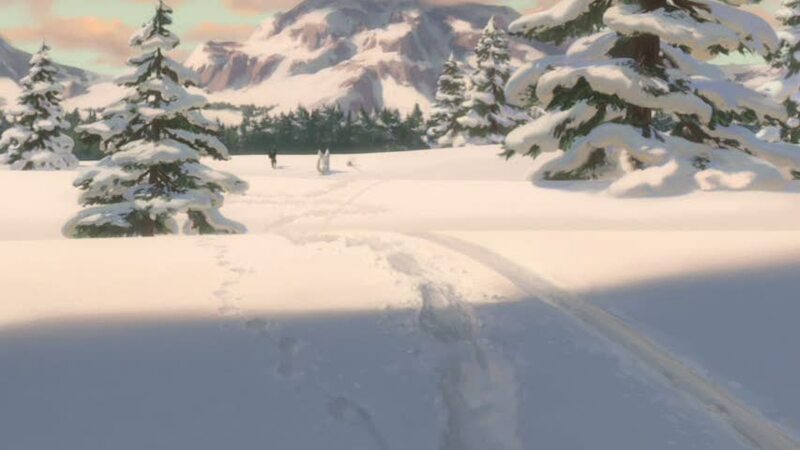 There's something diffuse and warm and stunningly delicate to the imagery in Bolt: same as it ever was, really. Regimes may come and go, the dominant ethic of proper character design may change from hyper-realistic to hip and sketchy to minimalist to bright colors and soft lines, but Disney is and ever will be the place you go when you want to gawk at the loveliest damn backgrounds that you can ever hope to see in an animated motion picture. The technology used to imply a painted texture on the background surfaces was further refined in Tangled (and, I suspect, was being piloted here specifically as a pre-Tangled test), and there is clearly some room for extra sophistication: at times the artificial paint is applied a bit too thickly, and we are treated to the none-too-agreeable sight of fairly routine-looking fully-rendered CG characters (by routine I mean texturally, not in any other design element) standing in front of bold, blotchy swipes of color which look for all the world like somebody applied daubs of gouache right onto wire frames. At times the effect is bracing - it gives the world some added texture and tactility, and indeed there is no other Disney computer-animated feature that tricks you into thinking that it's physically present so often as Bolt (not even Dinosaur, in which the backgrounds were physically present) - but the effect is uneven. Beautiful, but uneven. It's also largely swallowed up in the "Disney Digital 3D" that the company was so keen on and which has since become ubiquitous: like the day-glo energy of Meet the Robinsons before it, Bolt's most pleasant, lovable visual accomplishments were rather wrecked by the same technology used to increase the "oomph" of those visuals. That's irony, kids, but at least Bolt is now available in glorious 2-D, and can be seen in such a way that you can actually respect how the designers were deliberately quoting a medium which is and can only be flat. Though not the peak of unbridled loveliness that the next CGI film would be, Bolt, seen to its best advantage, is pretty nice to look at nonetheless: a triumph of texture, shade, lighting. Of course, this all needs to be balanced against the story the film tells and how it tells it: and Bolt is very sweet, very nice, and very slight. Though it's awfully nice to see Disney return to unabashed sincerity in the wake of Chicken Little and Meet the Robinsons, to say nothing of the studio's increasingly sweaty attempts to court teenage boys in the early '00s, an attempt doomed to failure, and probably the best single explanation for why Disney animation died so quickly and so thoroughly for almost a full decade. Sincerity, however, covers only so many sins, and in this case, it's anyway a very immature version of sincerity on display: the emotional arc of the characters is declaimed a bit more than it is shown, unless you count the dreaded musical montage (to a sort of nice, but mostly hokey alt-country song written for the film by Jenny Lewis of Rilo Kiley) as "showing". Nor do the non-animal scenes, featuring lots of odd Hollywood jokes for 8-year-olds and a phenomenally unfitting performance by Cyrus - hardly an old maid, but her voice is far too husky for the character, nor does she do much "acting" other than sometimes sounding very sad - do very much for Bolt besides extend its running time. Unwilling to commit to the poppy humor of DreamWorks - thank God - the filmmakers still waste a lot of time on a scenario that doesn't really allow for any other kind of joke, and mostly the scenes just sit there, sad and bland. But then it's back to the country, back to the critters, and Bolt saves itself, at least as far as being a charming, less than timeless, adventure movie goes. It's a children's movie that never becomes cloying or banal, even as it never does anything truly exceptional. It's fun, decent pleasant - exactly what Walt Disney Animation needed to get back on its feet after a rough time in the desert, as a breather for their impending return to the truly magical, deliciously ephemeral kind of stories for which the studio will always be best known. It's a stepping stone, then, or a learning curve, an infinitely superior Oliver & Company; good enough on its own, but the best part was that it showed us all that it was okay to start breathing again. The grown-ups were no longer in charge.